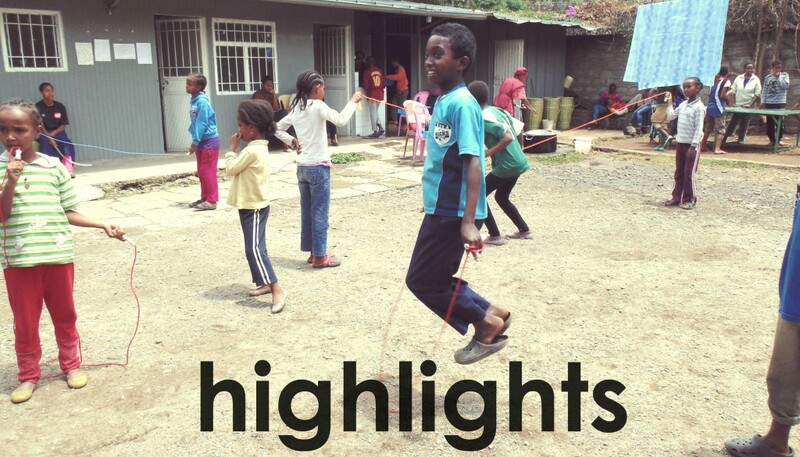 The past few months have been busy ones for Kids Hope Ethiopia! With an office now open in Virginia, two successful expeditions with more on the way, and warmer weather finally here – we are excited to share our spring news with you! We are excited to start a fundraiser called Hues for Humanity. This event is a colorful fun run for the whole family where participants help raise funds through registration and pledge pages. Hues for Humanity is taking place in both the U.S and in Canada and will be happening at different times throughout the year. This summer Medicine Hat, Alberta will be hosting our first color fun run and will be starting off a great event that we hope to make a tradition. In the past few months we have had two very successful expeditions to Uganda and also to Ethiopia. We are excited for our next upcoming expedition taking place this August, the Global Youth Expedition. Check out our blog and see what has been happening or take a look at our calendar to see what is coming up. 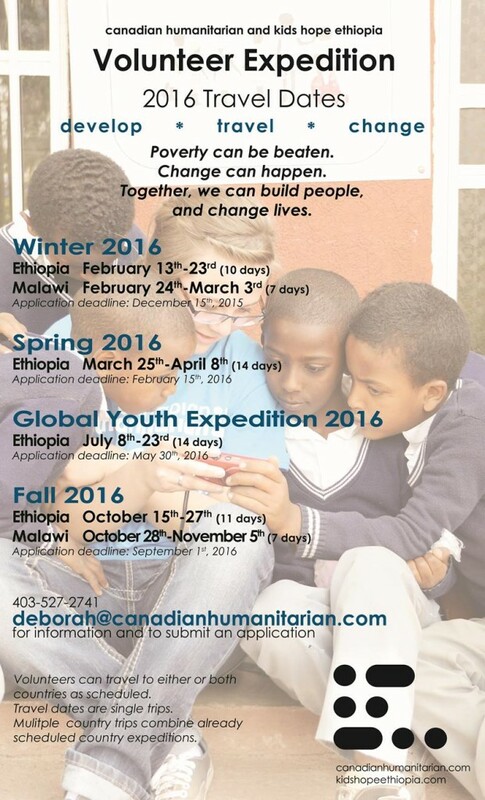 If you would like to participate in an upcoming expedition please contact Deb. We are looking for people to host their own ‘fill up the summer’ fundraiser. Pick any weekend in June to join our international fundraiser and set a goal to raise $1000 or more. Host your own backyard barbecue, dinner party, or even hold a bake sale and help support education for our students! Contact Rachel to set a date and get cooking! Lots of young people are getting involved with holding their own fund raising activities whether it’s taking donations at their birthday, having a crazy-hat day at school or a lemonade stand in the park – we can use all the help we can get! We cannot do what we do without you!! Did you miss our year end newsletter? If so, check it out here! It’s hard to believe the summer is already over, and all our students are back to school for another year. 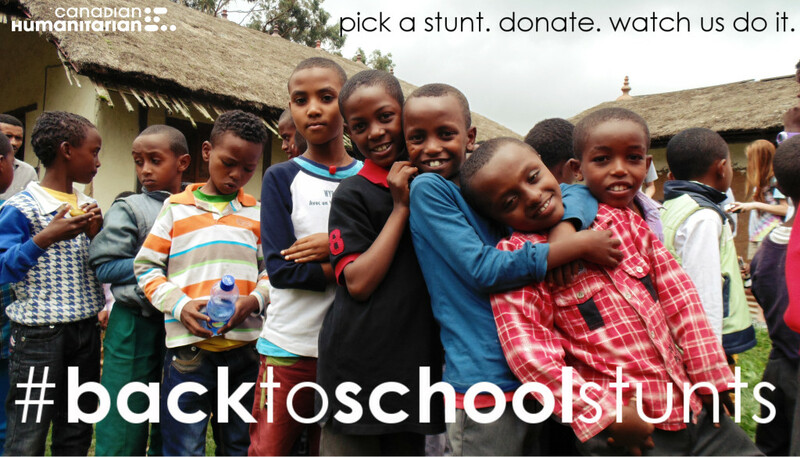 To celebrate the start of another year, we are holding #backtoschoolstunts – an end of summer fundraiser! Check out the stunts we’ve already done, and donate to see us do more! This year, we have added the Lira, Uganda Education Center to our growing numbers. It is exciting to reach into new areas and give these students an opportunity to reach their potential, and hope for their future. But we can’t do it alone! We need your help to fill up the future for our students. Our Canadian Chapters have been busy this summer as well – getting ready for their annual events! We have had some amazing volunteers travel with us to Ethiopia and Uganda this year. Our Global Youth Citizen expedition was a wonderful experience for our students in Ethiopia, and the young adults who traveled together. Expedition volunteers can now travel to one, two or all three of the countries we work in: Ethiopia, Uganda, and Malawi. For more information, or to start an application, contact Deb. This summer was full of activity and fun! We had young adults involved in our Global Youth Expedition, recieved profiles on the 50 children who are joining our program in Lira, Uganda this fall, and are still having a whole lot of fun with our #backtoschoolstunts fundraiser! Dan Alger and Lyndon Grunewald (Executive Director of Canadian Humanitarian and Kids Hope Ethiopia) visited the Foresight Fathers and Students in Kersa and Turge in February. Check out a few of their favourite pictures from the trip! 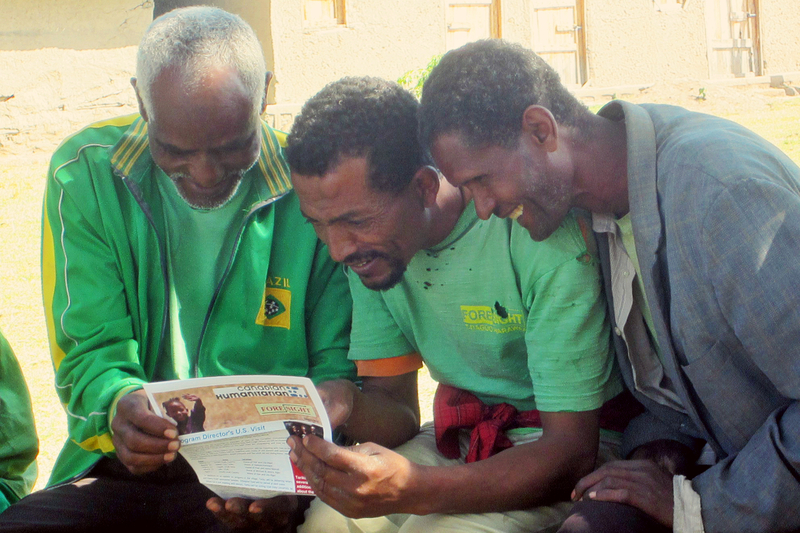 With Kids Hope Ethiopia expanding and opening new programs, we are excited to announce that our expeditions are changing! 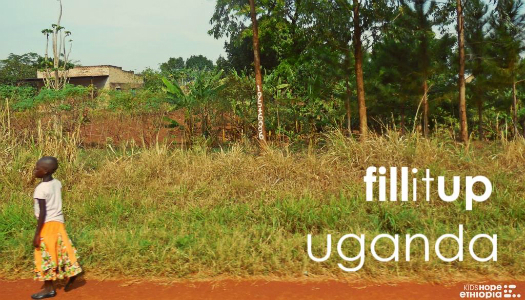 Another exciting announcement is that this fall, a new education support center will be opening in Lira, Uganda. Help us fill up the center! We need books, school supplies, tuition, uniforms, sponsorships, and food. Donate today to stock the new education support center and give children the tools they need to reach their potential! Come find us on facebook, twitter, and linkedin. 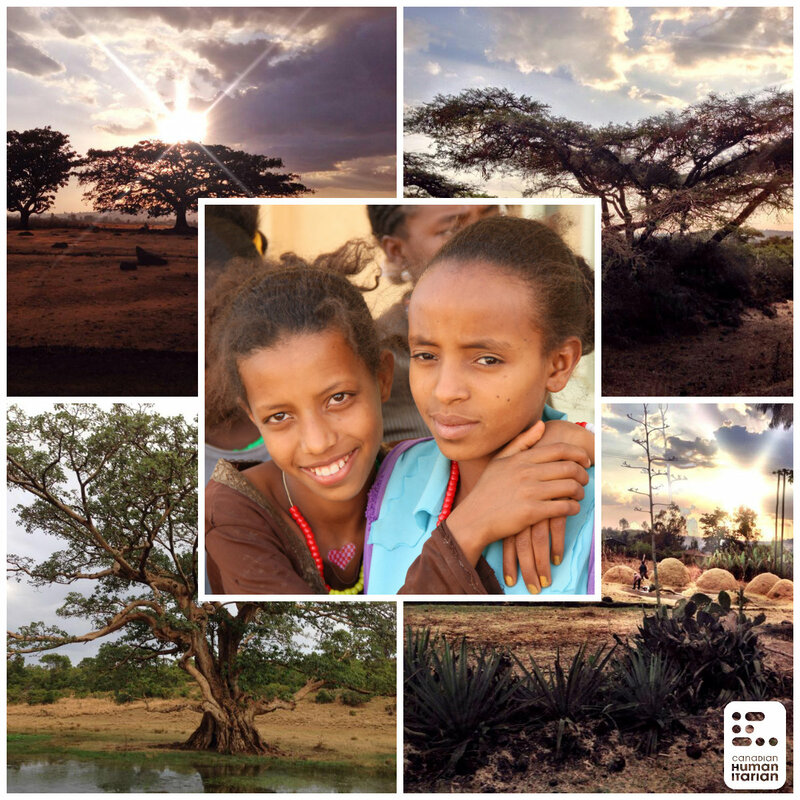 20 Volunteers traveled to Ethiopia with our February 2014 Expedition Group. Because the group had a wide range of skills, we were able to offer medical care, renovate and paint two education centers and much more! Read about our adventures by Heather, and Colleen on our blog. 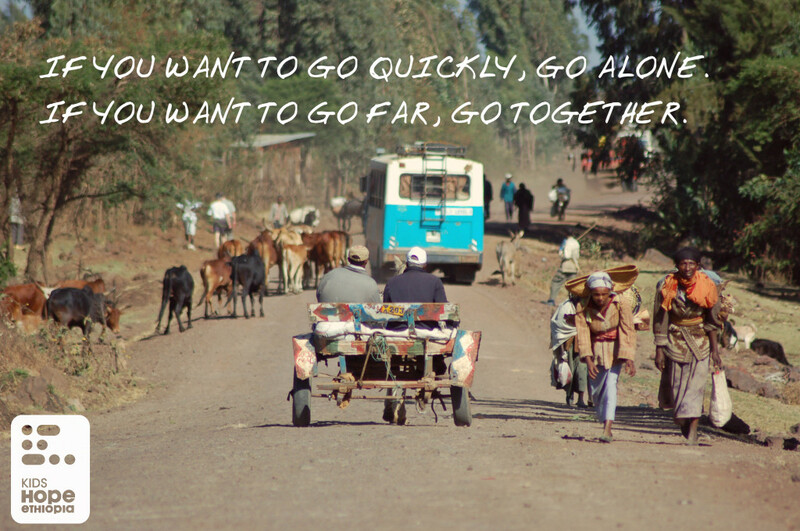 January 2014 marked a new Chapter’s birth for Canadian Humanitarian, Kids Hope Ethiopia’s sister organization in Canada. We are delighted to announce the formation of a new fundraising Chapter, with an enthusiastic group of volunteers, in Lethbridge, Alberta . If you would like to begin a chapter in your area contact us. Our Child Sponsorship Program is growing! 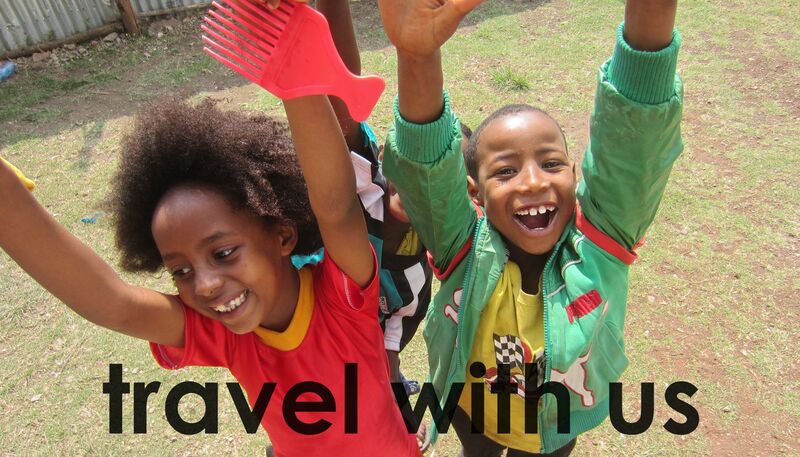 Help us sponsor 22 children in Ethiopia in 22 days. Please share to help us reach our goal. Canadian Humanitarian is also pleased to announce our new programs in Uganda and Malawi. We are very excited to offer Canadian Humanitarian’s unique afterschool program in these countries. Help us sponsor 100 new children by September in time for their new school year!